The app drawer has been a native part of Android OS since the very beginning and has continued to feature in mostly all the Android phones. On the other hand, a lot of Chinese phone manufacturers like Xiaomi, Huawei, Gionee, Coolpad, LeEco, etc. have withdrawn the traditional app drawer from their custom UI based on Android. They instead choose to show all the installed apps on the homescreen mimicking the iOS on iPhone. It was rumored that Android N might drop the app drawer completely but the latest developer preview of Android N does include it. I personally feel there should be an option to use either of them but dropping the app drawer completely won’t be sensible as all your apps will then reside on home screen unless one chooses to install a third party launcher. 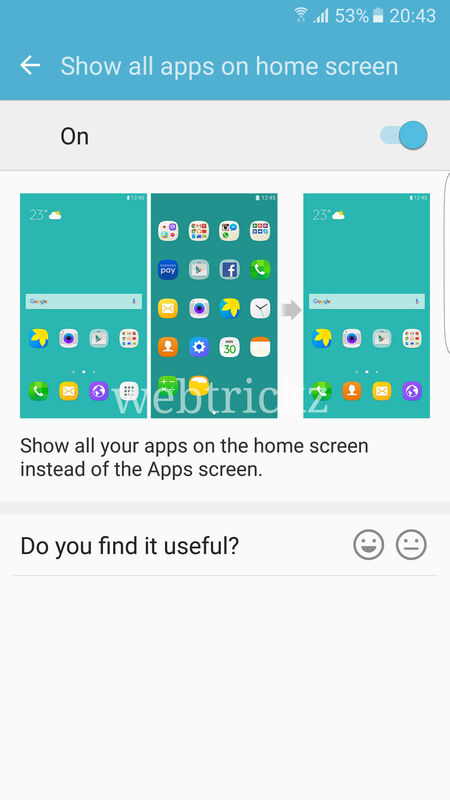 Coming to the point, there is a optional feature in Samsung Galaxy S7 and Galaxy S7 edge that allows you to remove the app drawer thereby showing all the applications on home screen itself. This is similar to what we’ve seen on iPhones and Android smartphones from Chinese phone makers. This latest experimental function is a part of Galaxy Labs menu that you can easily enable in a few taps. Go to Settings > Advanced Features > Galaxy Labs and then select Start. 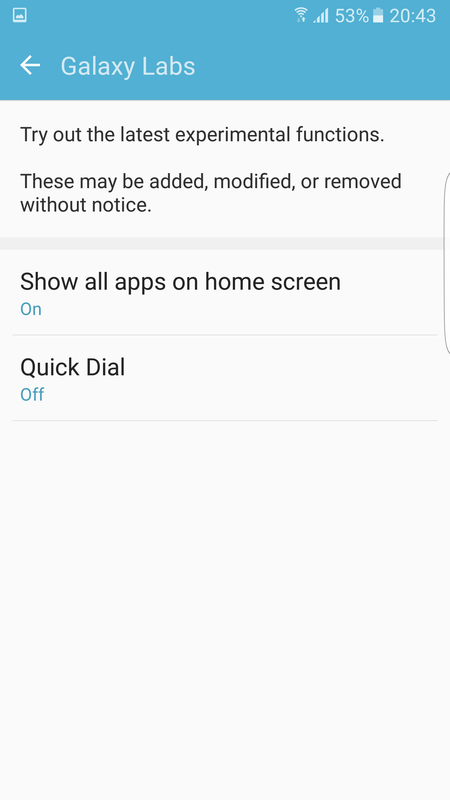 Open ‘Show all apps on home screen’ option. 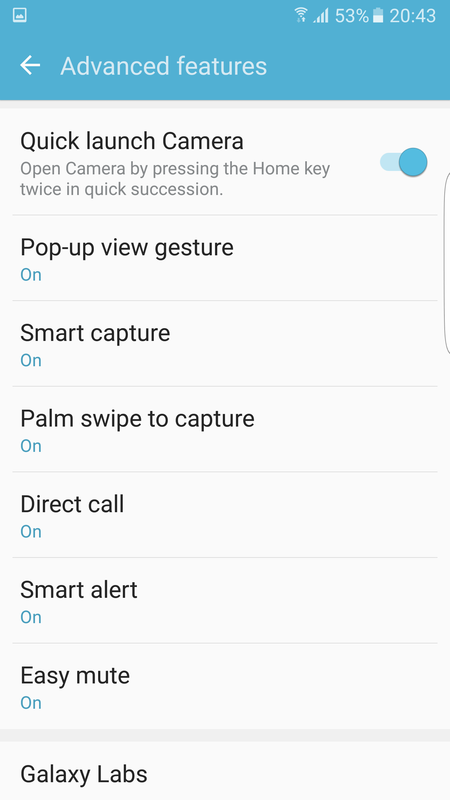 ‘Turn it On’ to enable it and then select Ok to confirm. That’s it! 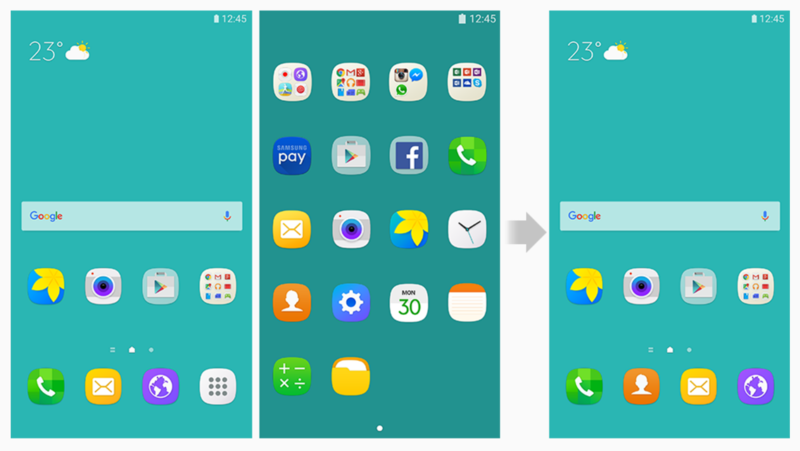 Now go back to homescreen where you can find all your apps, folders and widgets at one place except the app drawer. You can revert back anytime following the same steps. Wow…so helpful! Thank you for sharing this so clearly.